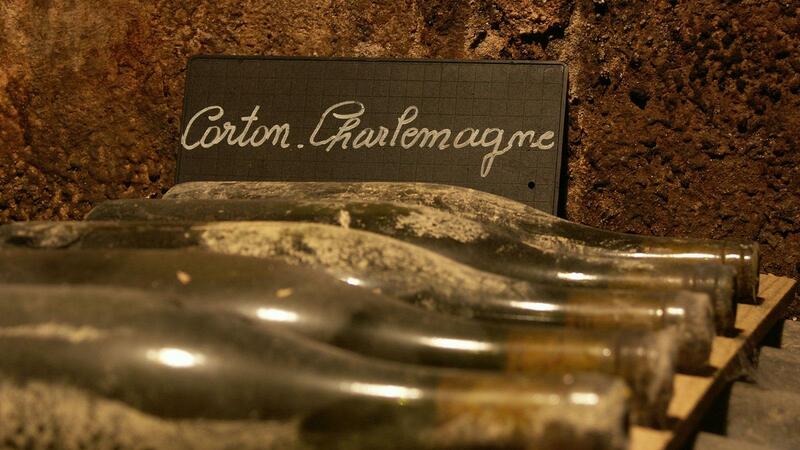 Will Jadot's 2016 Corton-Charlemagne survive the test of time? Early returns look promising. Following my report on the 2016 vintage red Burgundies at Louis Jadot, here are my notes on my tasting of the 2016 whites at Jadot with technical director Frédéric Barnier. These young wines had been racked and blended in tank for bottling. The malolactic conversions in the whites were later than in the reds, with several completing that process in fall 2017, around harvesttime. Thus, the whites were a little less formed than the reds, yet should come together nicely a year or two after bottling. This factor was more evident in a few of the grands crus, which require more time to show their complexity. Barnier noted that the mid-September rain in 2016 alleviated dry conditions late in the season, however, he waited for the vines to metabolize the moisture before harvesting. "We have not lost acidity or freshness in waiting," he says. I like the Louis Jadot Pernand-Vergelesses Clos de la Croix de Pierre 2016, whose crop was reduced by half, for its lemon flavor, creamy texture and firm, long, chalky finish. The Beaune Grèves Le Clos Blanc, which I also tasted in New York a week earlier, features enticing floral, honeysuckle and lemon aromas and flavors, very rich and creamy, with a spicy finish. Yields were a minuscule two-thirds of a ton per acre. A trio from Meursault hits all the right notes. A fat, honeyed and opulent Charmes offers a hint of verbena. Genevrières offers juniper and apple, focused yet still creamy, with good underlying acidity. The Perrières is the first vintage from domaine parcels (the grapes were previously purchased). It's austere, stony and chalky, with adequate richness, but more about the underlying acidity, finishing long and satisfying. The Chassagne-Montrachet La Romanée is half the normal crop and had been racked into 1-year-old oak. There is more density here, displaying creamy lemon, verbena and bread dough notes. Puligny-Montrachet Clos de la Garenne, 70 percent of a normal yield, evokes mint, apple and lemon tart, with intensity and power and a sweet baking spice finish. By contrast, the Puligny-Montrachet Combettes saw a normal volume; it's rich and mouthfilling, combining Meursault butter and honey with Puligny precision to reveal juniper, peach and pastry flavors. It was another story for Jadot's Chevalier-Montrachet Les Demoiselles, however, with only 2 out of the usual 10 barrels made. Nonetheless, it is full of energy and intensity, the floral, lemon verbena and peach flavors allied to a creamy texture and toasty oak on the lingering aftertaste. By contrast, the Corton-Charlemagne is austere and smoky, evoking lemon, herbs and stone elements, with density and a very long, lean conclusion. It gave the same impression at the New York tasting. At the New York tasting, I also tasted a very rich, almost oily Puligny-Montrachet Les Referts interwoven with a honey flavor, as well as a plump, viscous Chassagne-Montrachet Grande Montagne infused with lemon and chalky, stone notes.